Local artist Seelan Palay has been sentenced to two weeks imprisonment in lieu of a S$2500 fine after he was found guilty of conducting a procession without a permit under the Public Order Act (POA). Seelan was arrested almost exactly a year ago, on 1 Oct last year, after he stood in front of Parliament House, holding an art piece. His piece, entitled “32 Years: The Interrogation of a Mirror”, was created to commemorate the 32 years former elected Member of Parliament, Chia Thye Poh, spent in detention without trial. 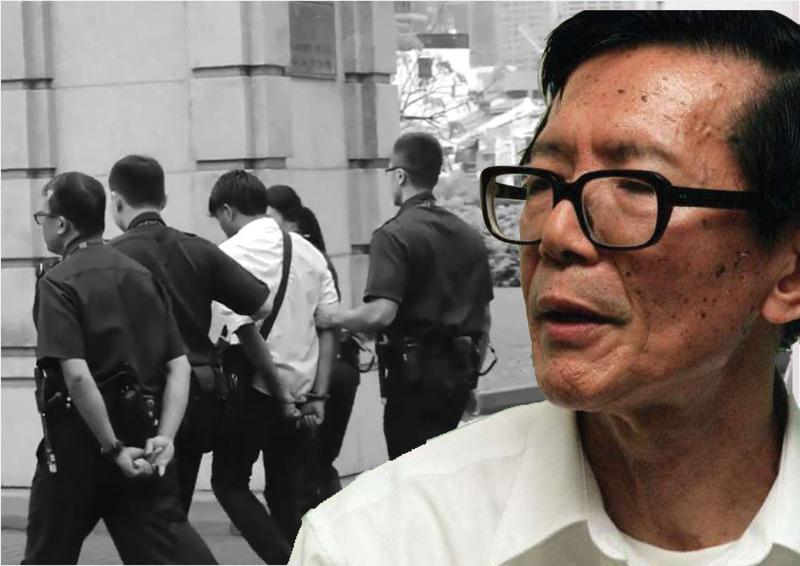 Seelan’s arrest and artwork drew attention to Singapore’s dark political history – a history in which Chia Thye Poh features prominently. Chia Thye Poh was detained in 1966 under the Internal Security Act of Singapore for allegedly engaging in pro-communist activities against the Singapore government. Although the allegations remain unproven to date, the former MP was incarcerated for 23 years without charge or trial, and subsequently placed under house arrest for an additional nine years. Confined to Sentosa island during his house arrest, Chia was stripped of employment opportunities, the freedom to travel and the freedom to exercise his political rights, among many other restrictions. All in all, Chia was detained for more years than the world’s most famous political detainee, Nelson Mandela. Seelan first introduced his art piece at Hong Lim Park last year, revealing to his audiences that he had developed the piece over two years, before moving to the National Gallery Singapore and to Parliament House. According to eyewitnesses, Seelan moved to the places outside the Speakers’ Corner in Hong Lim Park on his own and did not instruct his audience at the Park to follow him. Refusing to pay the fine, Seelan declared in his testimony in court last Thursday that he “did not address anyone, nor instruct anyone to follow” him to the places outside the park and that his performance art piece was “peaceful at all times” and “a work of art that is open to interpretation”. The judge, however, said that “there is no need for the prosecution to prove that public disorder had occurred as long as the prosecutor can show that the procession had happened without a permit,” according to social worker Jolovan Wham. The judge also granted the prosecution’s request that the authorities forfeit the items used in the art piece for disposal, even though Seelan asked if the items could be returned to him.